May I view the Online Course with a friend or co-worker? How much time do I need to devote to complete the Online Course? What is the cost of the USA Online Course? When’s the next USA Alert Program® Online Course? When is the next International Online Course? What is the cost for the International Online Course? My Online Course materials have not arrived yet. What should I do? 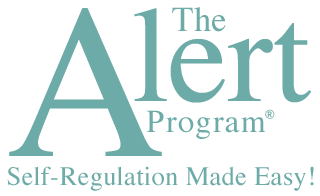 After registering for the Alert Program® Online Course, you’ll want to wait for your course materials to arrive before you start to view the modules. Your course materials will include: the Leader’s Guide book, Bag of Brain Breaks (self-regulation strategies to keep you alert for learning), and handouts. If you live in the USA, we ship all course materials within two business days of registration via USPS Priority. Generally, packages are received within 3-4 business days. If you have not received your package, feel free to contact us and we’ll track it down for you. If you live outside the USA, it is hard to gauge the shipping timeline. We’ve done a lot of testing and tracking of international orders and have found most arrive in about 2-3 weeks, with the customs process. You’ll definitely have at least one month to complete the modules and post-test which aligns with the amount of time USA participants have to complete the course.